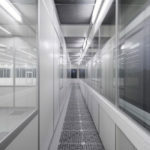 Project: Freiberger Compound Materials GmbH. 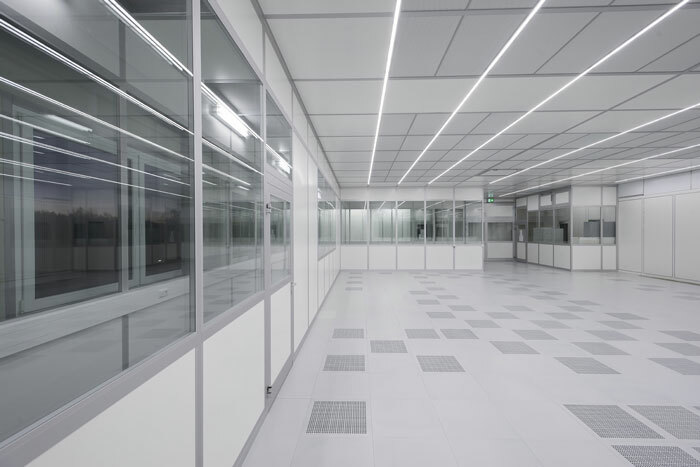 Freiberger Compound Materials GmbH (or FCM) are based in Germany and are a world leading manufacturer of compound semiconductor substrates for micro-electronics and opto-electronics. 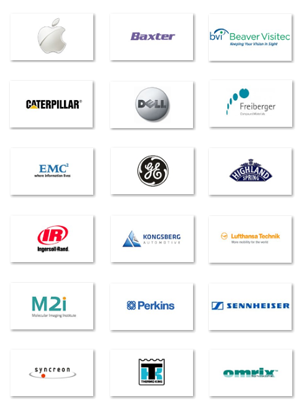 FCM have more than 50 years experience in the field of semiconductor manufacture and are the only company in the semiconductor industry who can provide both VGF (Vertical Gradient Freeze) and LEC (Liquid Encapsulated Czochralski) GaAs wafers. 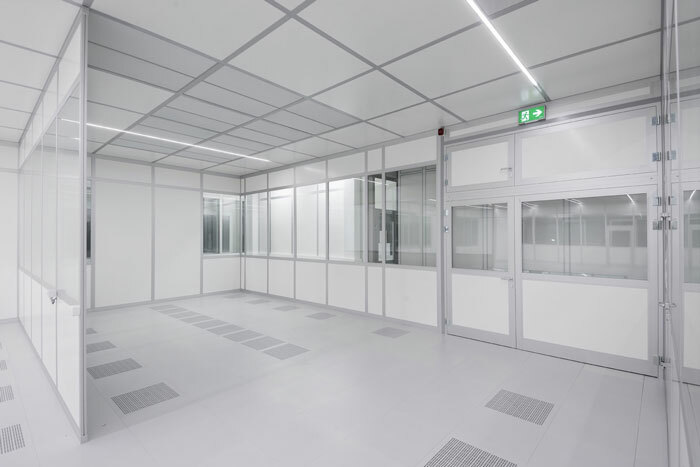 NGS Cleanroom-solutions were awarded a contract to provided a full installation with services, fit-out and configuration of a class 10000 cleanroom by FCM. 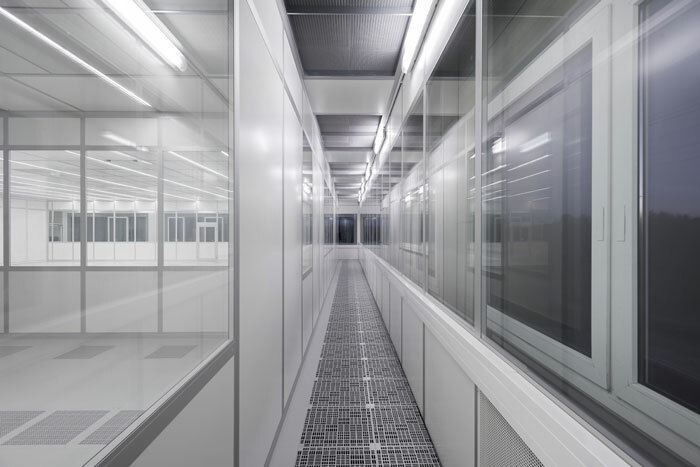 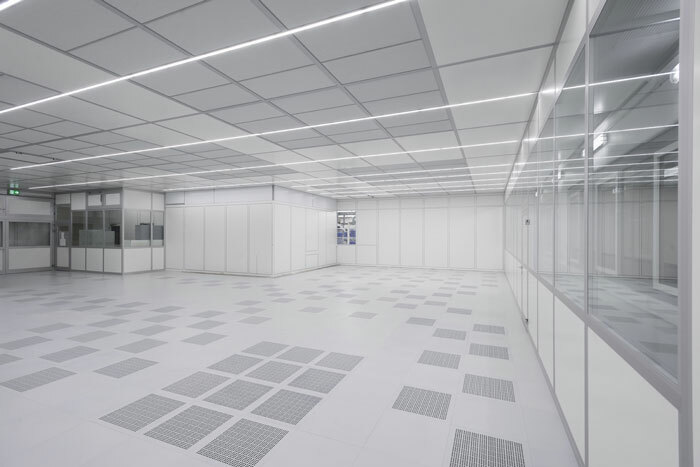 The area of the installed cleanroom is approximately 300m2 and was designed and constructed using the Octanorm modular cleanroom system. 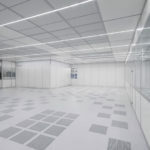 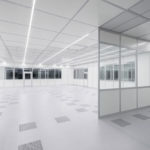 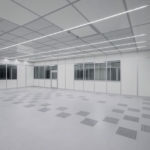 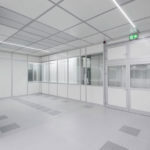 FCM cleanroom constructed using the Octanorm modular wall and ceiling systems with insulated double skin wall panels. 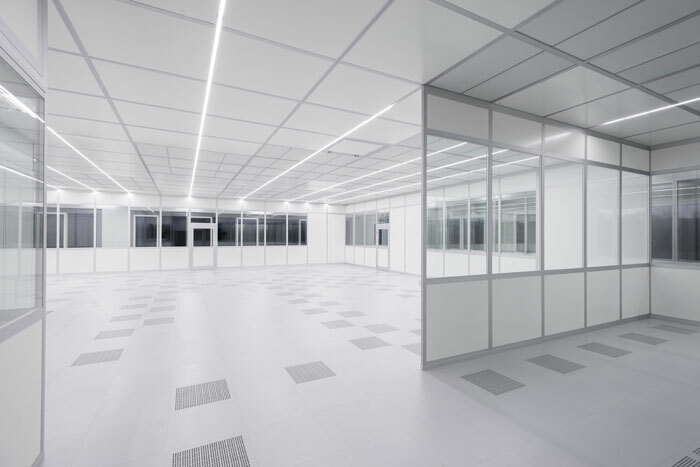 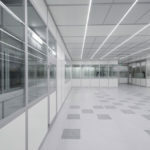 FCM main cleanroom showing LED strip lighting integrated in the ceiling grid. 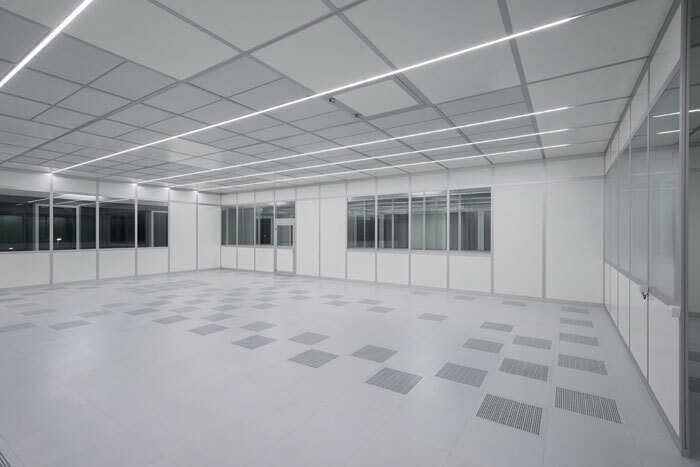 FCM modular class 10000 cleanroom for composite material manufacture.